There has remained a percentage of the total, in the order of twenty percent of the reports, that have come from credible observers of relatively incredible things..."
UFO is an acronym for Unidentified Flying Object. Such objects include meteors, disintegrating satellites, flocks of birds, aircraft, lights, weather balloons, and just about anything moving within the visible band of electromagnetism. In common language UFO has been often a synonym for an alien spacecraft. There are many photographs of UFOs and they are of equal quality: blurs and forgeries. Other physical evidence, such as alleged debris from alien crashes, or burn marks on the ground from alien landings, or implants in bodies of alien abductees, have turned out to be quite terrestrial, including forgeries. The main reasons for believing in UFOs are the testimony of many people, the inability to distinguish science fiction from science, the willingness to trust men telling fantastic stories, the ability to distrust all contrary sources as being part of a conspiracy to withhold the truth, and a desire for contact with the world above. Belief in aliens in UFOs is akin to belief in supernatural beings. UFOlogy is the mythology of the space age. Rather than angels...we now have...extraterrestrials. It seeks to give man deeper roots and bearings in the universe. It is an expression of our hunger for mystery...our hope for transcendental meaning. The ancient gods have been transformed into space voyagers. The reported perception of an object or light seen in the sky or upon land the appearance, trajectory, and general dynamic and luminescent behaviour of which do not suggest a logical, conventional explanation and which is not only mystifying to the original percipients but remains unidentified after close scrutiny of all available evidence by persons who are technically capable of making a common sense identification, if one is possible. What Hynek considers to be "all available evidence" may be much less than what a skeptic would require. For example, the evidence appealed to by UFOlogists consists of (1) the testimony of people who claim to have seen aliens and/or alien spacecraft; (2) facts about the type of people who give the testimony; (3) the lack of contrary testimony or physical evidence that would either explain the sighting by conventional means (weather balloon, prank, meteor shower, reflection of light, etc.) or discredit the reliability of the eyewitness; and, (4) alleged weaknesses in the arguments of skeptics against the UFOlogists. The last item is irrelevant to the issue, yet it plays a disproportionately large role in UFOlogy. It seems reasonable to believe that the only reason we cannot explain these sightings by conventional means is because we do not have all the evidence - not because these sightings are probably due to alien visitations. If we had all the evidence, we would probably be able to explain the sightings by some conventional means. The fact that we cannot prove that Mr. and Mrs. Barney Hill were not abducted by aliens, does not support the hypothesis that they were abducted by aliens. Many UFOlogists think that if eyewitnesses such as Whitley Strieber, Betty and Barney Hill, or other alleged alien abductees are not insane or evil, then they cannot be deluded and are to be trusted with giving accurate accounts of alien abduction. Yet, it seems obvious that most sane, good, normal people are deluded about many things and not to be trusted about certain things. UFOlogists would rather follow their faulty logic than accept the conclusions of Project Blue Book, the U.S. Air Force report which states that "after twenty-two years of investigation...none of the unidentified objects reported and evaluated posed a threat to our national security." (It was in this Blue Book that Edward Ruppelt coined the term "UFO.") UFOlogists are unimpressed with the Condon Report, as well. Edward U. Condon was the head of a scientific research team which was contracted to the University of Colorado to examine the UFO issue. His report concluded that "nothing has come from the study of UFOs in the past 21 years that has added to scientific knowledge...further extensive study of UFOs probably cannot be justified in the expectation that science will be advanced thereby." It is assumed by UFOlogists that the government, especially the CIA, is lying and covering up alien landings and communication. However, there is no evidence for this other than a general distrust of the government and the fact that many government officials have lied, distorted the truth and been mistaken when reporting to the general public. The CIA, however, has shown little interest in UFOs since about 1950, except to encourage UFOlogists to believe that reconnaissance flights might be alien craft. UFOlogists prefer another kind of lie to the government lie. They support the work of NBC, for example, which produced two dozen programs called "Project UFO," said to be based on Project Blue Book. However, unlike the Air Force, NBC suggested that there were documented cases of alien spacecraft sightings. The programs, produced by Jack Webb of Dragnet fame, distorted and falsified information to make the presentation look more believable. No UFOlogist took NBC to task for lying. To the skeptic, NBC was pandering to the taste of the viewing audience. Government agents lie for all sorts of reasons, but covering up alien landings does not seem to be one of them. Most unidentified flying objects are eventually identified as hoaxes or astronomical events, aircraft, satellites, weather balloons, or other natural phenomena. In studies done by the Air Force, less than 2% of UFO sightings remain unidentifiable. It is more probable that with more information those 2% would be identified as meteors, aircraft, etc., than that they are alien spacecraft. The reason no logical explanation seems credible to UFOlogists is probably because those making and hearing the reports either do not want to hear a logical explanation or they make little or no effort to find one. In any case, the fact that some pilots or scientists claim they cannot think of any logical explanations for some perceptual observations is hardly proof that they have observed alien spacecraft. Finally, it should be noted that UFOs are usually observed by untrained skywatchers and almost never by professional or amateur astronomers, people who spend inordinate amounts of time observing the heavens above. One would think that astronomers would have spotted some of these alien craft. Perhaps the crafty aliens know that good scientists are skeptical and inquisitive. Such beings might pose a threat to the security of a story well-told. If, as the late J. Allen Hynek claimed, over 1 in 40 people have been abducted and 'processed' by the 'alien/secret government' agenda -- or 1 in 10 according to more recent sources -- then you are bound to know SOMEONE who is an abductee and KNOWS it. This information is for THEM. For those who are not "UFO Abductees", the information in this file is nevertheless vital and applicable, and may one day save your life!!! If you believe that information about "Aliens" is only for those who have lost all touch with reality, then PLEASE accept that information in this document that you CAN accept, and pass over the rest, at least for now. Your future may depend on it. As I have said, this information may save your life. This file contains the most intricate and intimate details of a global conspiracy which seems to be rooted in an alien - military - industrial collaboration which is intent on bringing all freedom-loving peoples of this world under its control, through the implementation of a global government which has commonly been referred to as the 'New World Order'. We have pulled no punches and are laying everything out on the table in regards to the New World Order agenda as I and those who have contributed to this document perceive it. If you are one who is easily offended, then be warned. Most of you who read this will realize that you may have personally supported in one form or another -- albeit unknowingly -- certain religious, economic, or political organizations which are on various levels being controlled by those forces that are working towards the implementation of the New World Order. Those who have contributed to this file have not compromised nor held back on what they perceive to be the truth in regards to this conspiracy. "...Another figure has an EVIL face... 'HE LOOKS LIKE A GERMAN NAZI. HE'S A NAZI... HIS EYES! HIS EYES. I'VE NEVER SEEN EYES LIKE THAT BEFORE!!!" The above quote was made under regressive hypnosis by one of the first publicized 'UFO abductees', Barney Hill who -- along with his wife Betty -- claimed to have been abducted by grey-skinned entities from a space craft which apparently originated from the Zeta II Reticuli star system. The Grey alien abductors were obviously working with the human military officer who was encountered by Barney. This military officer was apparently a full-fledged Nazi, although this incident took place over 15 years after Europe had 'supposedly' been de-Nazified. This quote can be found in the paranormal encyclopedia "MYSTERIES OF THE MIND, TIME & SPACE", p. 1379. Those who are familiar with the connections between Nazi's and UFO's may find the following document easier to accept than those who have never been introduced to the reports of secret Nazi aerial disk experiments, much less reports of their secret collaboration with the so-called Grey aliens years before the corporate-fascist infiltrators and sympathizers within the U.S. Intelligence Agencies began making their own treaties with these same serpentine 'aliens'. According to Nigel Kerner, humankind in the past was a less hard wired more ephemeral sort of being that gradually devolved into a more and more physical type of being through the action of the second law of thermodynamics, with time, to a point where we became a sort of monkey man. Another angle on this is his radical and extraordinary theory involving the Grey aliens that feature in reports of alien abduction. He suggests that when we reached our current devolutionary point we became susceptible to interference by these entities that come from elsewhere in the universe. These alien biological robots (he calls 'roboids') are, he says, genetically engineering us to serve their purposes to this day. This interference has modified our present form of Homo Sapiens Sapiens. Could the creation story of Adam & Eve describe just such a genetic engineering exercise, he asks. Could the taking of Adam's rib to make Eve describe a cloning procedure? He claims there were many more of these genetic interceptions previous to this. All of them leading to a point where these alien things harvest some of us for what he calls our 'soul fields'. A 'soul' is the only eternal mechanism in 'a universe of diminishing returns', as Kerner puts it. The Song Of The Greys by Nigel Kerner. In 1998 when the book was published, long before this affirmation about the shrinking brain size, Kerner made a stunning case for the suggestion that we did not evolve from a sea-worm. We 'devolved' from something much much better than we are now. The large brain is just a remnant of what we once were, that's why it's shrinking. Kerner also suggests that the 95% of the human genome that does not seem to code for proteins was also at one time in the ancient past used in full. We have, in other words, lost 95% of our potential through devolution. Researching the material for my book "Terror from the Heavens" I found ample evidence that approximately 5800 years ago this planet was invaded by aliens who called themselves the gods. The evidence also shows that they vanished about 3500 years ago. The case is argued in this book, which was published in March 2003. For the purpose of this web site general considerations will be presented because reports of encounters with extraterrestrials all over the world indicate that there are several alien parties visiting this planet. If one is to seriously believe in the possibility of extraterrestrials visiting this planet then it has to be established whether this is possible at all and if so how it is done. As great as the advances of human engineering are, our present technology would not be able to provide the means for conquering not only space but an entire planet with enough manpower to uphold the occupation. Clearly, the alien invaders of ancient times were not only technologically far ahead of human achievements. propulsion systems based on fuel consumption are totally inadequate for space travel even over cosmically small distances. Space travel at any reasonable scale is only possible with an energy source that is inexhaustible. Such energy source can only be a form of energy, which is present throughout the universe like electromagnetism or the quantum vacuum. Reports of so-called UFOs wonder about the erratic course they follow. - In ancient times important spiritual buildings like temples and sanctuaries were erected at carefully chosen sites. In the Aegean Sea and in Greece there are a many such structures. When connecting them it becomes apparent that there is a grid like pattern to their locations. In England a phenomenon called the ley lines is known. These are lines of a kind of energy human science has not dealt with so far. At the crossing points of these ley lines there frequently are religious structures of present and earlier times, which is an indication that this energy was known not only in the Mediterranean cultures but also in England. 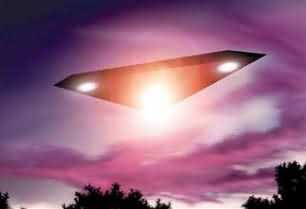 There are numerous reports that tell of UFOs travelling along these lines in an erratic course. Considering that ley lines are a form of energy emanating from the ground one has to conclude that the erratic course of the ley lines can be linked to deposits of metals in the Earth's crust which cause irregularities in the course of these lines. It is obvious that UFOs are using the energy emanating from these energy lines for their propulsion system. One has to assume that such energy sources are available between planets and at a much greater scale between star systems. This type of energy meets the requirement of being universally available and inexhaustible. Reports of UFOs also tell of tight, even right angle turns at very high speeds. Acceleration, deceleration and gravity can be equated. How come the crew of a UFO making such abrupt changes of direction in high-speed flight is not crushed? a material dimension is determined by the speed a body travels through space and there is no difference whether it is spacecraft or a planet. There is something called the energy constant of the Universe. This constant is the energy available for motion and oscillation between the states of energy and matter. The more energy is used for motion meaning the faster a body travels through space the less frequent are the oscillations between the stages of energy and matter; a body gets longer and slower times passes. - Einstein's Theory of Relativity confirms this. On the reverse side, the more slowly a body moves, the more frequent are the oscillations between the stages of energy and matter; a body get shorter and time passes faster. The fact that there are no invasions by extraterrestrials in historic times indicates that biological life forms cannot live in a material dimension other than their own. Changes in the frequency of the oscillation, which means a different dimension, cannot be tolerated. Changes of dimensions are a complex and difficult topic. It cannot be explained in the context of this article but you can find detailed information in my book God's Ultimate Task- Re-Creating the Universe in a Positive Dimension. This was obviously the problem of the gods who landed here 5,800 years ago. The dimension of this planet was not quite right for them. Therefore, they established themselves primarily on the highest mountains. This is why these mountain regions to this day are called the seats of the gods. These mountains were declared sacred and to this day mankind remembers them as such. The areas on top of the highest mountains are called a death zone for humans. It is not the altitude that makes humans sick in these altitudes; it is the difference in the oscillation of matter at sea level and in high attitudes no matter how slight. Another problem was the excessive drain on the spiritual energies of the gods caused by a material dimension that was not quite right for them. The gods compensated for this by implementing ritual human sacrifices designed to provide them with spiritual energies used to the material dimension of this planet; the gods' energy metabolisms absorbed the energies released by the suffering and pain of their victims. Even after the gods had vanished this practice of human sacrifice in favor of the gods continued well into the recent past. After this little detour let's apply what was said before to space travel: from the example of the gods we can assume for sure that space travelers have some kind of mechanism that maintains a stable dimension. The only explanation for abrupt changes of course without harm to the crew at extreme speeds can be that the dimension of the spacecraft is maintained and that this separates the spacecraft from the physical environment it travels through. - Take this as an assumption and not as a scientifically proven fact. There is a big difference between interplanetary and inter stellar travel. Inter planetary travel can take place in a material dimension. This means that a spacecraft follows the energy lines between planets and physically flies from one planet to another one. Interstellar travel cannot be done in a physical dimension. The distances are far too vast. Even at very high speeds interstellar travel would take too much time. Inter stellar travel use a phenomenon, which could be called hyperspace. This actually is not a space at all and neither is it a dimension because it is a realm of pure energy. This realm is reached at the speed of light. This means that in order to travel from one star system to another one a spacecraft has to reach the speed of light. At that point the energy constant of the universe has no more energy left for oscillation between the stages of energy and matter. All energy is used for travel. The spacecraft dematerializes. There are energy lines linking stellar systems. In order to reach a specific stellar system one has to reach the speed of light at the one energy line that connects the departure star system with the target star system. This is easier said than done because the star systems are moving through space and energy lines in the universe are changing. Therefore, space travel to a specific stellar system is subject to the availability of a connection through an energy line. It has been noted that around this planet so-called UFO activity changes between frequent sightings and periods of hardly any UFO activity at all. Connectivity is the reason. If there are energy lines connecting this star system with a star system from where a space visitor plans to come here, then it can be done. Otherwise one has to wait. Such periods of access could be called windows of opportunity. In order to get to hyperspace a space ship has to maintain its material dimension. The time to get from one star system to another one depends only on the time a spacecraft takes to reach the speed of light. Once the speed of light is reached at the point of departure the craft dematerializes and instantly re-materializes at the target star system. This transition takes place in zero time because in hyperspace there is neither time nor space. Because of this the term "hyper space" is misleading. I used it because it is familiar to humans. Scientists call it the realm of the quantum vacuum. Spiritualists call it the realm of spiritual energies. These principles have become known to science and The California Institute of Physics and Astrophysics received a grant by Nasa to work on a propulsion system utilizing the quantum vacuum. - Space travel and its underlying principles of physics are not easy topics. Therefore, should you not wish to deal with the information provided above, just assume that inter planetary and inter stellar space travel is possible. Neither time nor distances are a factor once a spacecraft is properly equipped to overcome both. increasingly, TV has brought series about sightings of UFOs and alien encounters. Abductees told their stories but scientists are eager to explain that this all is not happening because space cannot be overcome. They don't know how to overcome the vast distances between stars, so how could anyone else? The people from Seti, the Institute for the Search of Extraterrestrial Intelligence, have been trying to make contact with extraterrestrial intelligence for many years using radio waves and it did not work. Therefore, they claim, there are no extraterrestrials around. The reality is quite simple: radio waves for inter stellar or even inter planetary communications are much too slow. To communicate over the vast distances of space either telepathy or the hyperspace/quantum vacuum are the only media that make such communication possible in real time. A computer modem transforms a digital signal to be sent as an analog signal, which then is changed from analog to digital again at the receiving computer. To use the quantum vacuum for inter stellar communication the sent signal has to be changed from a matter signal to an energy signal of the quantum vacuum and the received signal has to be changed from an energy signal to a matter signal. Since there is neither time nor space in the quantum vacuum this way inter planetary and even inter stellar communication is possible in real time. Reports of encounters with aliens come from all over the world. Sightings have been made of relatively small saucer like objects like the ones shown on the many photographs Billy Meier took in Switzerland. Over Nato installations in Europe many sightings took place of good size triangular shaped crafts with three bright round spots on the bottom of the crafts. In Phoenix, Arizona, huge crafts were observed that looked like a V with 5 round bright lights underneath. The light emanating indicates the propulsion systems; the larger the craft the more such systems it needs. People who came in direct contact with aliens reported quite different features: in the US the so-called greys, small insect like creatures, seem to be the prevalent type of aliens. Billy Meier in Switzerland claimed his visitors were from the star cluster of the Plejades but, remarkably, some of them had names as we know them from ancient Egyptian mythology. Also, they looked like humans. Other reports in Europe tell of encounters with Scandinavian type people. These looked like super humans, the type you find in comic books; the men were tall and unusually handsome. The women were beautiful and their female attributes were most remarkable. All direct contacts took place in remote areas. All of them lasted only a short while. Only some encounters were friendly. In the US abductees usually did not remember their encounters until their post hypnotic block weakened. Under hypnosis they tell frightening stories of medical examinations and abuse. In South America abductions are frequent and people get a rough treatment. All reports, however, indicate that the aliens were not interested in any extended contacts or stays on this planet. This confirms that our material dimension does not provide acceptable living conditions for any extraterrestrials at this point of time. This raises the question: what are the aliens doing here if they can't stay for any length of time? - Actually, the answer is very simple: they are waiting for an event, which changes the material dimension on this planet and hope that the new dimension will be suitable for their needs. In previous chapters the possibility of a change of dimension has been discussed. In one of the following chapters, Parallel World, the possibility of a change of worlds and what this means is being discussed. The number of aliens operating in the vicinity of this planet indicates that there is a high degree of probability that the extraterrestrials expect a change of dimensions or a change of worlds to happen soon. The movie industry has released some very successful films dealing with an invasion from space. 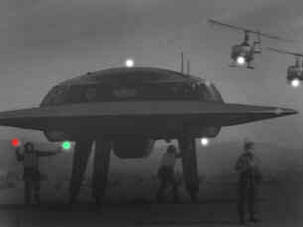 In television series like "V", visitors from outer space, showed the rather unpalatable scenario of extraterrestrials invading this planet and abusing the human population. In reality, extraterrestrials cannot invade the present world, so how can they hope that they have a chance to invade this planet after a change? Wars have been fought on this planet since history began. Weapons became always more sophisticated. Still, the opponents and th weaponry used are known even if they hide as do terrorists striking out at innocent civilians. There is another kind of war going on and people on this planet are not aware of it because neither the attackers nor their weaponry are known. This world is under attack and the goal is to destroy it. Once this world is totally destroyed the parallel world will materialize on this planet. Because of spiritual mechanisms who ever destroyed the present world will have the parallel world materialize in a dimension suitable for his needs. He will get a brand new world! There are many reports of space ships operating in the vicinity of this world. Not a single incident has been reported that they used weapons on humans. And yet, their weaponry must be effective beyond anything we can imagine if they are to destroy this world. Extraterrestrials can come here because they know how to make use of the quantum vacuum. Their space ships are able to span the immense distances between their home planet and the earth in the quantum vacuum where there is neither time nor space and, therefore, they can come here in practically zero time. They also know how to use the quantum vacuum, the realm of the spiritual energies, as a weapon. The energies of the quantum vacuum are programmable, as are the spiritual energies of people. The extraterrestrials are telepaths and they can program people's spiritual energies via thought transmissions. However, they need people for their programs that are not only susceptible to specific telepathic conditioning but also able to execute the actions programmed in their energies. A typical case of such programming was the Heaven's Gate cult, which was the product of an effort by the Plejadens to establish the pattern that people should commit suicide. This mass suicide was not a single event. At approximately the same time cult mass suicides took place in Switzerland and either Canada or South America - I forgot which country it was. Of course, nobody can expect that all people in this world commit suicide. But exploding the nuclear arsenals of the major military powers of this world would be tantamount to general suicide of life on earth. The Plejaden plans failed. Only five nuclear explosions in India ensued in the time after these mass suicides and this ended this spiritual attack. But there was another attack, which brought this world to within 2 hours of the extinction of all life. The Plejadens had abducted human females. They had made them pregnant with babies who had been given Plejaden spiritual energies who would follow telepathic commands by crew members of Plejaden space ships operating in the vicinity of this planet. Spiritually seen, numbers count and the number of Plejaden plants was not enough to bring the desired result of an all out nuclear war. There is another party of extraterrestrials that did not have to abduct human females and make them pregnant to have agents within the human population. After a change of dimensions approximately 5800 years ago aliens who called themselves the gods were able to invade this planet. Approximately 3500 years ago there was a change of worlds and the present world materialized in a dimension hostile to gods. The ones on the surface of this planet at the time of the change perished. But there are many of them still around in space ships. The gods have spiritual entities incomparably bigger than human spiritual entities. The entities of the gods who died during the change split in particles small enough to incarnate in human bodies. Even though these spiritual particles descending from gods are as small as human spiritual entities the people they are incarnated in are vastly superior to humans. These are the geniuses among humans. The god-humans don't know of their heritage. But they are susceptible to guidance by other god entities who telepathically influence and lead them. There is another kind of gods and we know them as the Atlanteans. They came to this planet much sooner and they are the benevolent gods known from the Nordic saga, the Edda, as the Vanir. The Edda also speaks of the evil gods, the Aesir, better known as the gods of the Egyptian pantheon. The Atlanteans owned the world before, the paradise. After the evil gods had landed on this planet they slowly invaded Atlantean territory and, ultimately, the Egyptian gods won supremacy over the entire planet except for Japan. The Egyptian gods worked for close to a thousand years to prepare a change of worlds. When it came they were in for a big, ugly surprise. The Atlanteans had interfered and the present world is for humans only. They also made sure that a number of Atlanteans would make the transition into the present world where tiny particles of their huge spiritual entities are incarnated in humans. Therefore, there are two parties of gods, which have their agents in this world, the good guys who are of Atlantean descent and the bad guys who descend from the Egyptian gods. Both parties influence their agents telepathically. Ever since the present world came into being the Atlanteans have been working to establish the spiritual situation, which will enable them to bring back their world, the paradise. They did and still do this with religion. Christianity, Islam and Zoroastranism are Atlantean tools designed to produce the necessary spiritual power for programming the spiritual energies with the goal of bringing back the paradise. At the same time these were and still are the tools for people to accumulate enough positive spiritual energies to be able to make the transition into the next world to come, the paradise. The Egyptian gods who survived the last change of worlds in space ships went into time dilation space flights to come back when the time would be right for another change of worlds. When they popped out of these flights in the nineteenth century they were in for a big and bad surprise. The Atlanteans with their monotheistic religions had won a decisive advantage over all other contenders for ownership of this planet. Only a total destruction of this world would give to the Egyptian gods a chance to make the next world their own. In order to counter the monotheistic religions the Egyptian gods invented communism. There are millions of humans with the tiny particles of the former Egyptian gods as spiritual entities. Egyptian gods in space ships can easily influence and guide them. Karl Marx, Engels, Lenin and other prominent figures of Communism descended from the Egyptian gods who also helped scientists to develop the atom bomb. The combination of these two factors was meant to bring the total destruction of this world, which the Egyptian gods needed to succeed. Communism was a great success. It climaxed in the Cuban missile crises, which brought this world to within two hours of total destruction in a nuclear war. When this did not happen the spiritual power of Communism was broken and the Soviet Union, the main power of Communism, disintegrated. This attack by extraterrestrials against this world failed. The extraterrestrials are still around and they have not given up. Another attempt to gain a foothold in this world could be done by mass producing human clones and providing them with spiritual entities from alien beings. A cult called the Raeliens seems to be working exactly in this direction. There are certainly other projects the extraterrestrials are pursuing. So far, all their plans have failed and as the evidence shows they all will fail. The monotheistic religions of Atlantean origins, Christianity, Islam and Zorostranism have an overwhelming momentum. Short of something really catastrophic the Atlanteans will win the fight for supremacy over this planet and their world, the paradise, will return. 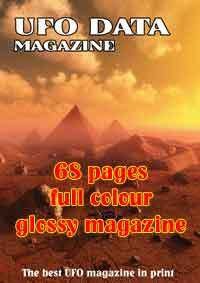 "Terror from the Heavens" (will be published by March 2003), "The End of the World - Then What- Before the Imminent End Mankind's Future Is Revealed"
is received we will send to you the eBook and the password to unlock it. Note: This Article is followed by "I Saw the Kecksberg UFO!" by the same author. In 1966, Marjorie Fish, a school teacher and astronomer was curious if ET contactee Betty Hill's two year old star map had any similarity to a real star pattern. Ms. Fish decided to build a 3D model of the stars in our galactic neighborhood. She then observed the sculpture from various angles and recorded the data. Walter Mitchell, professor of Astronomy at Ohio State University, studied it and was "very impressed by the astronomy involved in Marjorie Fish's work." Through computers, Mitchell and his students calculated the real positions of hundreds of nearby stars and found virtually no error in her findings. The source of the star map were aliens believed to be from a large binary solar system in our southern sky known as Zeti Reticuli. Zeta Reticuli is a faint pair of fifth magnitude stars 220 trillion miles away. The pair is unusual in that it is the only known double system where both components are nearly identical to our sun. Their distance from one another is estimated to be 350 billion miles or nearly 100 times the distance from Pluto to the sun. At least 100,000 years are required for Zeta Reticuli 1 and Zeta Reticuli 2 to revolve once around their common center of gravity. The two solar systems are positioned at such an extreme distance that one would not disturb the other. One thousand stars exist in a radius of 55 light-years from us; which is the distance just beyond Zeta Reticuli. Within this sphere: these thousand stars come in various sizes, temperatures, ages and colors. We should keep in mind that a vast majority of suns are not like our own. Our star is in a small minority of a large and diverse crowd. Suns are green, purple, red, orange, blue, small and white, flickering, expanding, variable, huge, very active or dim and weak. Most suns are not single suns, but binaries and other combinations of multiple systems. Out of our neighborhood of a 1000 assorted stars, only 46 are similar to our middle-aged, yellow sun. The small, grey aliens that abducted Betty and Barney Hill explained that the solid lines on their map were 'trade routes' or places they stop regularly. The broken lines were their expeditions. Ms. Fish believed that our sun was possibly on one of their trade routes. With this assumption, a corresponding pattern was found! Actually, 16 stars fit the pattern; Zeta Tucanae is located directly behind Zeta Reticuli 1 and therefore not in sight. Betty Hill's star map is believable because these are not just any 16 suns. They are all YELLOW, except for Tau Eridani 1 and Gliese 86.1 which are slightly above and below the parameter of yellow suns. The conclusions of investigating astronomers indicate that these were Zeta Reticulans seeking out yellow stars. They were traveling to places similar to their home world. The map is very convincing when one considers that the 16 yellow stars are not randomly scattered all over this imaginary sphere. They are concentrated in one particular area of space that includes our solar system. 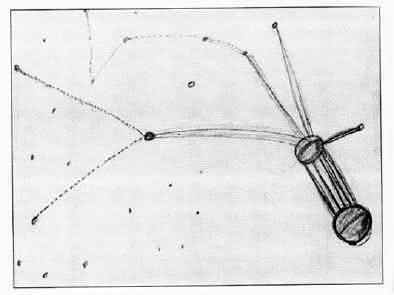 Professor Mitchell and Marjorie Fish have pointed out that "the stars in the map are almost in a plane; that is, they fill a wheel-shaped volume of space that makes star hopping from one to another easy and is the logical way to go..." Therefore, the Zeta's exploration and trade route theory is possible. They deliberately bypassed many non-yellow suns (cepheid variables, close binaries and multiples, giants and dwarfs) until they reached the very next yellow sun. The star map was drawn by Betty Hill in 1964 while under hypnosis; recalling her ET experience from 1961. It was not until 1969, when the Gliese Star Catalog came out, that two of the stars were found to fit the map. This incredible fact means that not even the most informed astronomer could have devised such a star chart at the time it was drawn by Betty. A quote from the December 1974 issue of Astronomy Magazine reads: "The pattern discovered by Marjorie Fish has an uncanny resemblance to the map drawn by Betty Hill. The stars are mostly ones that we would visit if we were exploring from Zeta Reticuli. The travel patterns make sense." An important question often asked is why are the suns believed to be Zeta 1 and 2 so large in her drawing? The answer is: She drew what she saw. She remembered standing a few feet from a 3-dimensional projection of glowing spheres. The wide-binary hologram was drawn large because Zeta 1 and 2 were the closest objects to her. Drawing the grey's home world large only emphasizes the reality of the map. Holograms did not exist on Earth in 1961. ETs from Zeta Reticuli have been described from numerous sources as small, grey-skinned beings with large/black eyes. According to Bob Lazar, whistle-blower of Area 51, our government informed him that the Roswell aliens did indeed originate from the Zeta Reticuli system. If we take a closer look at Betty's star map and compare it to real astronomy, we may discover that the proof has been with us for more than 40 years. I Saw the Kecksberg UFO! Something pierced the night's sky over my left shoulder. Our heads turned to the left and our eyes could not help but notice a bright ball of light! Both John and I were stunned. Our mouths dropped. The object was about the size of a full moon and it trailed sparks or little bits of light. The odd thing about it was the thing did not fall straight down. The UFO went laterally; sideways; almost up! Whatever this was...it could not have been a meteor. A shooting star (or space debris) falls down. A natural object does not move horizontally. Meteors do not go up. There was no sound. We could not tell its distance from us since the object appeared just like a big dot of light. This was no saucer with lights or any kind of features. The entire sighting lasted for approximately 5 seconds. Then, the object passed over the southern hill; behind the trees of what was called Cook School hill. John and I immediately reacted. We ran to my house very excited. My father, an old skeptic, thought we were crazy. UFOs were not a part of his belief-system. Nevertheless, I convinced him to drive us up to the top of the hill and check to see if anything came down there. At the time, my cousin and I thought the thing could have hit somewhere around Cook School. My father humored us and drove us around. We saw nothing strange. This convinced my dad that there was nothing to this UFO business. 'Ah, UFOs' he said in disbelief and had a good laugh at my expense. Thirty-eight years had passed. I don't smoke cigarettes anymore. I had seen a number of UFOs in my life. When looking back at the past, I almost did not put this experience in with those other unexplainables. Probably, the reason was it did resemble a close meteor fall. I assumed this was merely a natural event and was nothing extraterrestrial. Very recently, on television's Sci-Fi Channel, they showed previews of 'Kecksberg Exposed.' This was a 2-hour special hosted by Bryan Gumbel. I looked forward to this because they were calling it the 'new Roswell' and it happened in the Pittsburgh area; my home town. Minutes into the show, my mouth dropped (as it did 38 years ago) and I said 'Oh, my freaking God.' I saw the Kecksberg UFO! I certainly should have heard of this event and I'm a little ashamed that I'm not that up on UFO history. Actually, I'm glad that I didn't put 2 and 2 together before this point because that would have lessened the revelation that occurred during the documentary. The most compelling factors in the show that led me to conclude I saw it was: 1) This was the time I had my sighting; late one warm December night in 1965. 2) Kecksberg is 25 miles southwest of Pittsburgh; Bridgeville is 12 miles southwest of Pittsburgh. The object moved south and it appeared to us to pass over the southern hill. 3) The UFO, according to all reports, did look similar to a meteor. In an old newsreel film, an interviewer asked a very young Kecksberg resident: 'What did it look like?' The boy answered: 'A star on fire.' A street in the small farming town of Kecksberg was named METEOR Street because of this encounter with the object. People who were able to get a good look at it said that it was acorn-shaped. An acorn monument was erected in the town and stands to this day. The first reports came out of Canada and the thing in the night's sky continued southward. The UFO buzzed the Pittsburgh area and turned...which, of course, indicates that it was not a natural phenomena. Thousands of reports flooded into news agencies. KDKA received hundreds of calls alone. If I was only mature enough, I would have searched through newspapers the next day. This would have told me that my cousin and I were not alone in our observation. Kecksberg was another Roswell because the military was dispatched. Oncemore...government agents, soldiers, Men in Black converged on a small American town. Guns were pointed at citizens; people's lives were threatened; there were 'radiation' scares; and authorities told people to lie. People witnessed that federal 'suits' seemed to give orders to the military. This convergence of government officials does not happen when a meteor falls to Earth. Of course, there are those that will say the Kecksberg UFO was a piece of Soviet intelligence...and that was the reason for military intervention. The same was said about Roswell. A large, flatbed truck was seen entering the wooded area where the thing seemed to come to a soft landing. The truck was empty when it went in and covered when it left. To this day, the Kecksberg controversy rages on as townspeople are divided as to what really occurred. Some deny the fallen object and that feds made any appearance at all. Others claim to have had been in direct contact with government intimidation. This writer is very pleased that something did happen at Kecksberg. I wish my father was alive so I could tell him that I was not crazy. Or...look dad; there are many others that are just as crazy as I am. Well, yes, it could have been. A constellation of commercial communication satellites has become the latest nuisance to UFO-spotters, not to mention astronomers all over the world. Iridium LLC, an international consortium based in Washington, D.C., has been launching satellites into 780 km (485 mi.) high pole-to-pole orbits. The satellites will provide a global telephone network. Unfortunately, the three main antennas on the satellite (two of them are seen as the lower vanes in the photo) form a sort of pyramid facing the ground, and they are highly reflective. These antennas are about the size of an average household door, and are nearly perfect mirrors. As the satellite slowly rotates, they can reflect a beam of sunlight to the ground. Because of the satellite's altitude, it is still in sunlight long after the earth below has fallen into darkness. In fact, during most of its orbit, each satellite will be reflecting sunlight somewhere on the earth. Viewed from the ground, an Iridium satellite produces a bright flare of light lasting up to 20 seconds. At peak intensity (about 5 seconds), the flash can be as much as 23 times brighter than Venus - enough to cast faint shadows on the ground. Then it fades out and apparently disappears completely. And there you are - another UFO is reported. If you're not directly in the main path of the beam, the flash can still be up to -4 magnitude, brighter than the brightest star in the sky. Although the majority of the top grossing Hollywood films are the subject of UFO's and Extra Terrestrials no Hollywood celebrity has ever come forward about the subject until now. 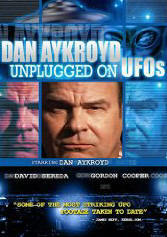 Dan Aykroyd is the first ever celebrity to apply his brains and wit to disclose the truth about the real UFO phenomenon in the documentary "Dan Aykroyd Unplugged on UFO's." A self-sponsored researcher on the subject, in the film Dan Aykroyd is backed up by many military personnel including several high ranking NASA employees and the former Defense Minister of Canada. For more info on the documentary please visit WWW.DAUFO.COM . Dan Aykroyd is the first celebrity ever to apply brains and wit to disclose the real UFO phenomenon to the world in his new film, "Dan Aykroyd, Unplugged on UFOs." In this film, Aykroyd is backed up by many credible military personnel. Paul Hellyer, former Defense Minister of Canada, whom at 82,went public at the University of Toronto in 2005 to say, "UFOs are as real as the airplanes that fly over your head.... That is my unequivocal conclusion." Many top military witnesses have come forward to testify before their deaths, such as NASA Astronaut Gordon Cooper, Colonel Phillip Corso, on the Roswell Incident, Paul Hellyer, Minister of Defense Canada, President Reagan, and more. The truth is finally disclosed. You'll laugh. You'll cry. You'll find out why. Jeremy Vaeni is an alien abductee who does not want us to take his word for that. Instead of the usual New Age mumbo-jumbo, he takes us on a very real journey to the heart of the abduction issue. Along the way, we find out how humanity is stuck in the psychological patterns of its own making and why aliens don't land on the White House lawn. So basically, the usual New Age mumbo-jumbo--no wait! It's different than that! Honest! I Know Why The Aliens Don’t Land! is a revelation with laughter. It is what happens when a true outside mystery injects its presence into the self-parodying, deconstructionist mind of Generation X. When Ezekiel saw a wheel, 'way in the middle of the air, did he really see a pinwheeling spacecraft? Is there, hidden in some secret government warehouse, wreckage from a flying saucer that crashed over 30 years ago in New Mexico? Is our planet an alien-breeding colony? Have people been kidnapped by E.T.s? Or are UFOs just science fiction? This thought-provoking program unravels the fantasy and fact behind reported close encounters of every kind with beings who may be from another galaxy - even another dimension. Patterned after the first volume published in 1964, "The UFO Evidence, Volume II" is much anticipated by the research community. The book reports 30 years of UFO sightings since 1964 with related data and descriptive features organized by category. In this report, the sightings are arranged by witness categories. Among the topics discussed are the now strongly established patterns of UFO sightings, the growing evidence worldwide that UFOs represent someone's technology, the history of government sponsored UFO investigations, and political and human responses to UFO sightings. The master chronology is an incredibly complete listing, which also refers the reader to pertinent sections in the book for fuller descriptions. Richard H. Hall is a well-known authority in the field of ufology. In 1964 he compiled the first volume of The UFO Evidence as a documentary report for the National Investigation Committee on Aerial Phenomena. Hall is outgoing Chairman of the Washington-based Fund for UFO Research. He was a consultant to the 1966-68 University of Colorado UFO study sponsored by the Air Force Office of Scientific Research. Covers a great deal of ground while presenting a well-balanced documentation of UFO controversies and general weirdness. The book describes how German engineers actually flew flying saucers shortly before the end of World War Two and how some of the dreaded Nazi's actually escaped due to help from U.S's own version of the Secret Government...and how they actually do their work today from underground bases around the world. SPECIAL SECTION OF PHOTOGRAPHS OF NAZI BUILT FLYING SAUCERS and stories told my our own pilots of encounters with so-called Foo Fighters during the war. Here is final proof that not all UFOS come from outer space! With 200 entries in an A-to-Z format, The UFO Book is the most comprehensive and up-to-date source of its kind. One hundred photographs and drawings illustrate the allegedly real and proven bogus evidence, helping readers decide for themselves whether or not extraterrestrials exist. Jerome Clark is the former editor of the UFO magazine Fate and former vice-president and current board member of the J. Allen Hyneck Center for UFO Studies as well as the editor of their quarterly publication The International UFO Reporter. He has published several books and a three-volume UFO Encyclopedia encompassing every conceivable aspect of UFOs possible. In short, Clark has spent the past four decades researching, analyzing and bringing to light anything remotely connected to what the world identifies as UFO's and extraterrestrial life. The UFO Book is actually an abridgment of the much larger, two volume work, The UFO Encyclopedia (2nd Edition) published in the fall of 1997. Clark makes it very clear in the introduction that, "Except in those instances where good reason exists to doubt an informant's sincerity, The UFO Book operates on the assumption that intellectual agnosticism...". True to his word, The UFO Book is clear, in-depth, cross-referenced and user friendly and goes to extremes to stand above any hint of opinion regarding the wealth of information contained in this book. The UFO Book includes a historical overview of UFO phenomenon, an overview of its terminology roots, and in-depth information regarding resources in print an other forms of media. Every subject, whether a discussion of a specific topic or a specific incident is organized alphabetically with painstakingly clear cross referencing throughout. The UFO Book is engrossing reading that can fill a few minutes, an hour, or more. It has the authoritative backbone that brings this incredibly diverse and far reaching subject to light in a meticulously objective manner. Clark has put into one volume an incredible amount of research that is a must read for anyone mildly curious about UFO's and extra- terrestrials. A UFO investigator reports on the facts, fables, and fantasies of the flying saucer conspiracy. 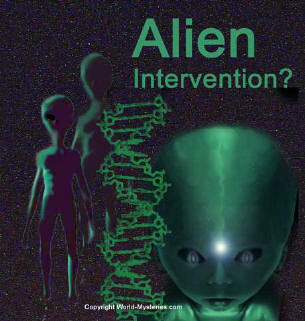 Exciting, fully documented on-site personal investigations of UFOs. There's no doubt as to the validity of many UFO sightings. Some of the most educated and credible people, i.e. airline pilots and ex-presidents, are witnessing these craft. In "The Coming" you will find new information that's not just idle speculation. This book is an investigation of the UFO phenomenon that will lay aside preconceived notions, interpretations, and present-day theories, and take a straightforward look into the bible. No one should have to question his belief, the validity of the scriptures, or theorize that God was an ancient astronaut. Author Jamie Lance provides full proof that the answer to this mystery is revealed in scripture. In 1979, I decided my biblical research would not be shaded by denominational interpretations. I began reading the bible as I would a newspaper, not reading anything 'into' any verse, but accepting each verse as stated. It was in 1994, while surfing the channels on satellite TV, that I heard an eyewitness say he wished someone could tell the world who these creatures are, why they're here, and not to worry about it. This man's comment was the reason I decided to write "The Coming" and share what the bible reveals. But its answers are unusual, completely different from all theories being tossed about. And while I hate to use a worn-out saying, truth 'is' stranger than fiction. Author Jamie Lance, with over two decades of biblical research, is an expert on end-time prophecy, the bible's true identity of America and Britton, and has a vast knowledge of the subtle errors that occurred in translating the bible's original Greek and Hebrew languages into English. Lance makes sure to research with a non-denominational eye. 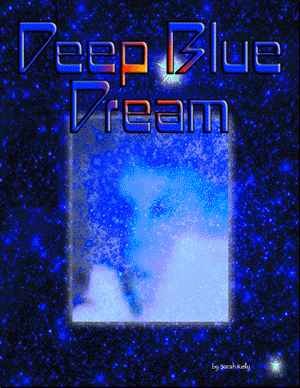 Born in 1952, Lance became curious about anomalous craft and claims of abduction by unknown creatures and was dedicated to discover how these beings might relate to religious beliefs. Lance now resides in Alabama. Austrian author, Guido Moosbrugger, has been following the case for more than 20 years and has detailed his findings in "And Yet They Fly!". In this captivating book, Guido describes the extraterrestrials with whom Billy is having contact, as well as their technology, culture, home planet and reasons for visiting Earth. "And Yet They Fly!" also contains more than 75 color photographs documenting the case. Among them, the color, daytime photos of extraterrestrial spacecraft are unsurpassed in their quality and clarity and are the best UFO pictures ever taken. No other UFO case is as richly documented with eyewitness accounts, photographic evidence, metal sample analysis, sound-recordings and spacecraft landing tracks, just to name a few. If you ever had a question about the Billy Meier contacts or are new to the subject, "And Yet They Fly!" 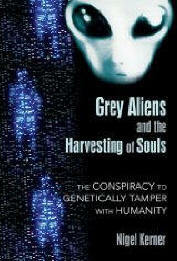 is the most comprehensive and well-documented book ever released on this world-renown UFO case. Possibly the most extensive and complete analytical literary work scrutinizing extraterrestrial intervention and Biblical Scripture ever compiled. An astonishingly detailed scriptural analysis exposing alien entities utilizing incredible devices to literally perform the Creation of this Planet as we know it. A global creation illustrating the mysterious decimation of the Mesozoic dinosaurs and their entire environment.An itemized inquisition into how universal beings actually performed the Inundation of Noah, the dividing of the Red Sea, dammed up the River Jordan and the destruction of massive armies and cities. Incredible feats all performed by utilizing the very same device which executed the physical Creation of this Planet. The very same miraculous device found within the UFO enigma. An incredibly detailed account of Ezekiel's Wheels, being nothing less than the delineation of five separate wheel shaped stellar crafts. An itemized deduction of the craft's physical characteristics, propulsion systems, flight capabilities, weapons and humanoid pilots. Physical elements paralleling that of the modern UFO mystery. A profound sacred study establishing the existence of a true Underworld empire under our very noses. A subterranean world within a world, harboring physical beings and super technology. Physical humanoid entities coexisting with petite amphibious creatures known as the infamous Gray beings commonly found within the UFO conundrum. An in-depth study establishing not only the Gray's bases of operation, global locations and motivation, but possibly their very origin. A revealing study which will establish a new field of research for the UFOlogist without government involvement. A cosmic arena here on this Planet which will terminate the need for government disclosure or "old hat" Roswell. International UFO Museum and Research Center provides a summary of what happened in July of 1947, a timeline, maps and witness reports. Committee for the Scientific Investigation of Claims of the Paranormal offers up information about the infamous incident in New Mexico. The Institute for UFO Research (IUR) was established in 1996 for the purpose of promoting research in the area of UFO phenomena and educating society to its importance. The Institute also provides support to those who have had contact with extraterrestrial life. "iwasabducted.com" is a members only website specializing in the Alien Abduction, UFO Sighting, and Crop Circle phenomena. We feature a customized, private chat room as well as provide an on line reporting service for alien abductions and UFO sightings. We additionally feature UFO and NASA videos, and an awesome high quality photo gallery of aliens, UFOs, crop circles, UFO wreckage samples, even an implant - extracted from an abductee! and close encounters that have left us with more questions than answers. 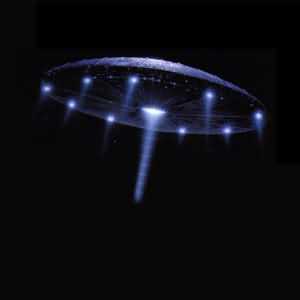 A UFO is an Unidentified Flying Object which has been frequently identified as a possible or actual alien spacecraft.